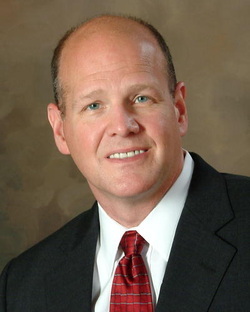 Speaker: - Dr. Tim Moore, Cardiovascular Surgeon and Author of "Surviving The Suffering"
The history of the federal government involvement in medicine. The failure of the federal government to anticipate and manage health care expenses. The future insolvency of Medicare and Medicaid. How government efforts to solve this problem are making the situation worse. How Obamacare is the worst possible solution to our healthcare problems. The complete dishonesty of Obamacare as promised to the American people. Dr. Moore’s perspective is from a doctor who must deal with federal health programs: Medicare, Medicaid and now Obamacare. His first-hand knowledge about these programs will provide a unique and real-world perspective that you cannot obtain from the media and politicians. Dr. Moore is a practicing cardiovascular, thoracic and vascular surgeon on the Leesburg-Ocala Heart Institute Team and lives in Eustis.